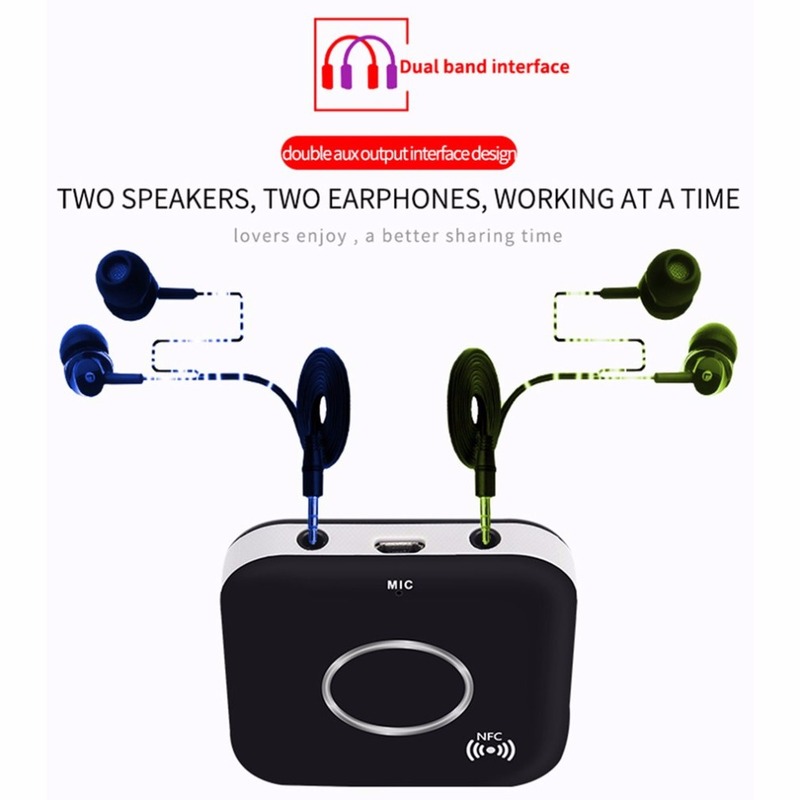 Nice designing with pure sound output. 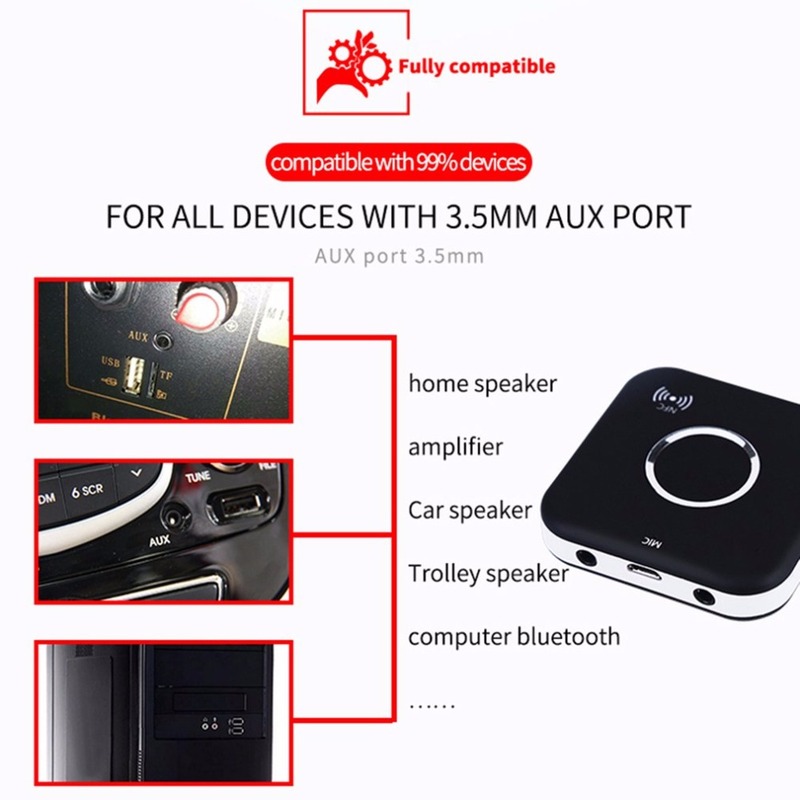 Double AUX 3.5mm outputjack port, support two devices working at a time. 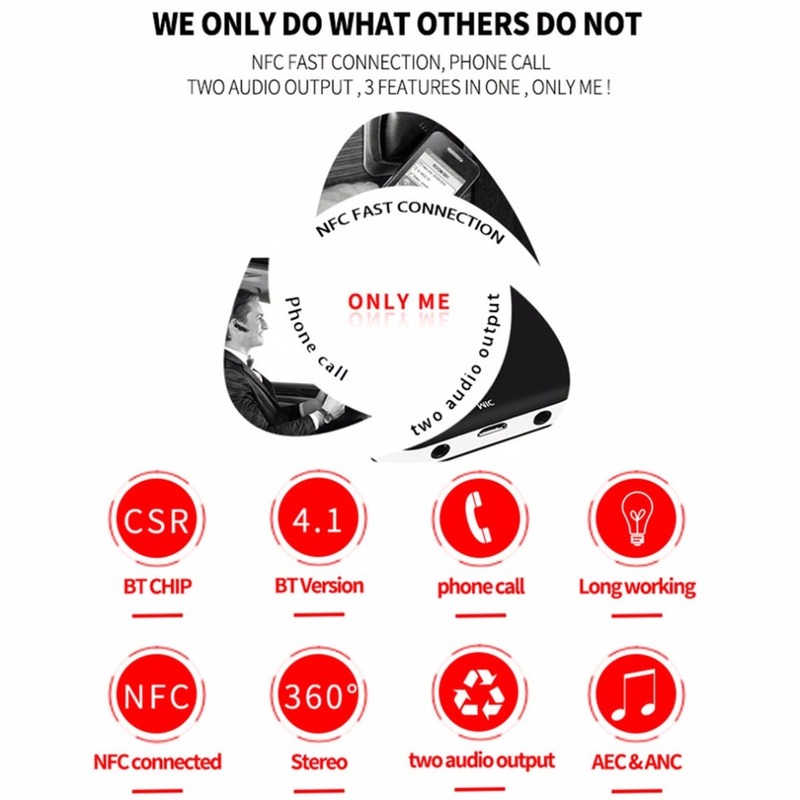 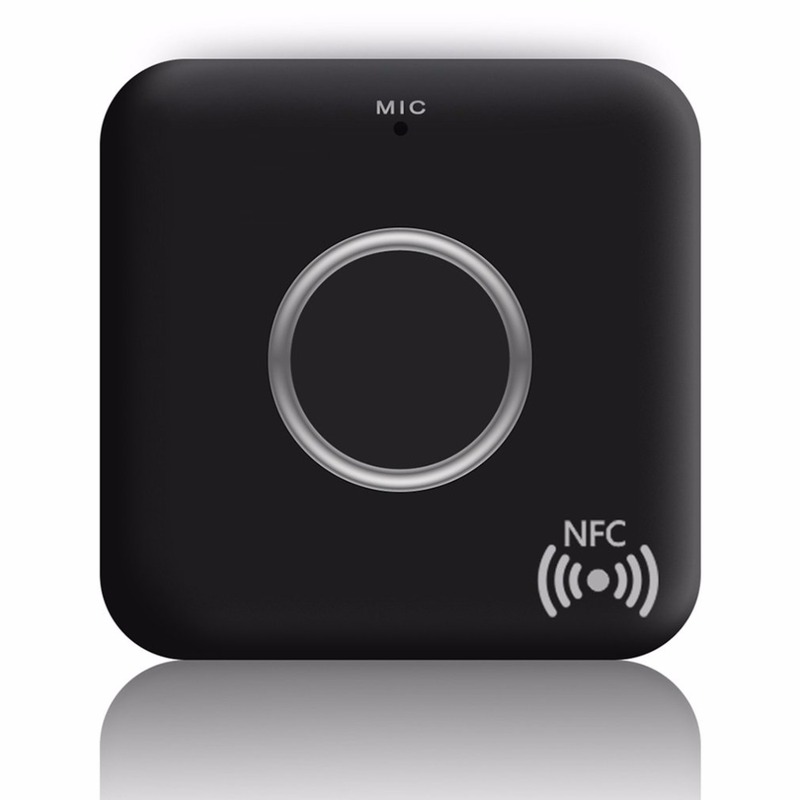 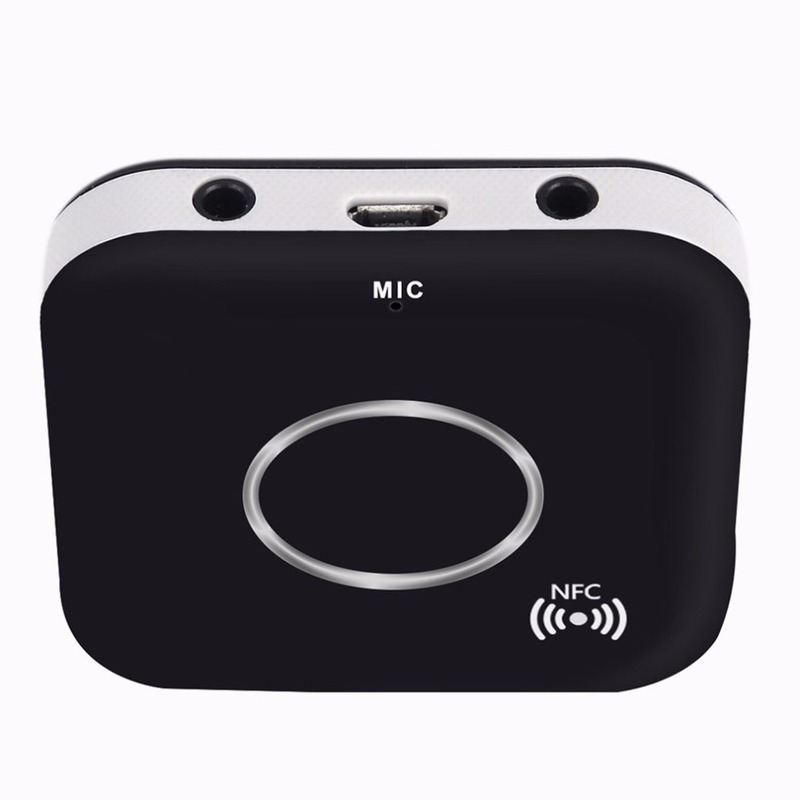 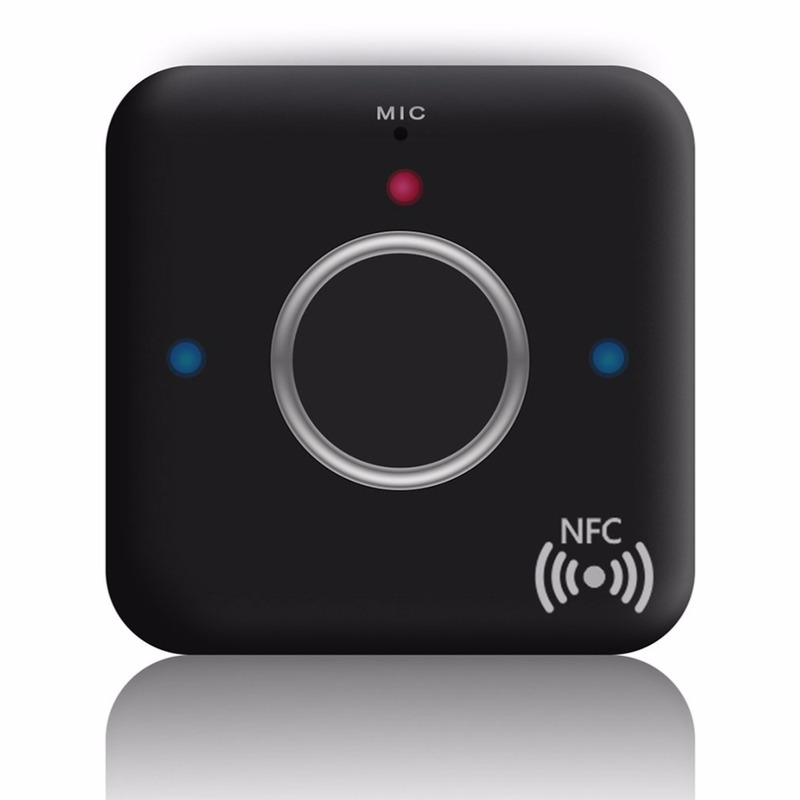 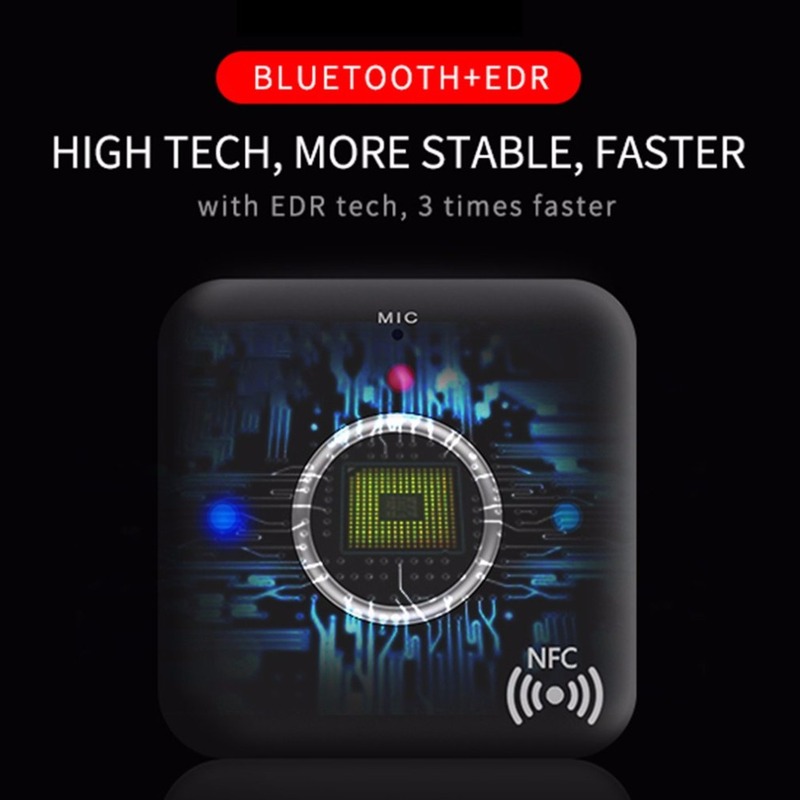 NFC, close to device for connection, no need searching. 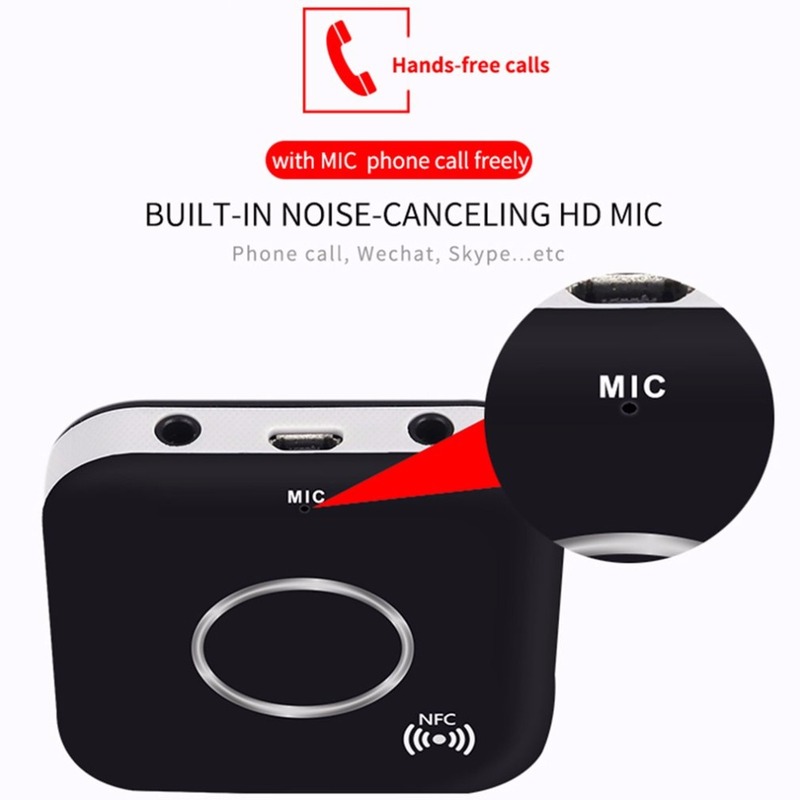 Hang-up phone call, press button for answering.